Oakland video artist Paul Skomsvold continues the saga inaugurated by his debut DVD album "Fait Accompli" with 5 new pieces intended for continuous, cyclical playback. On "Hope," Skomsvold lays a cloudy bed of melodic drone and airy textures while piano keys gracefully whirl overhead. Coming out of the woodwork fully formed, Skomsvold's sudden emergence in the public eye has exhibited a highly realized vision that beckons a new era of contemplation and understanding. 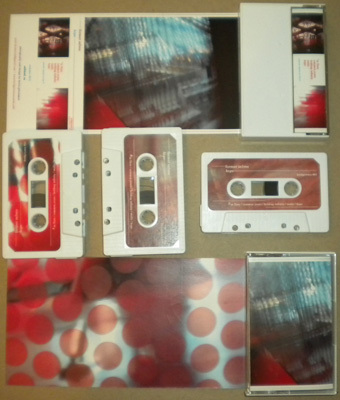 First edition of 100 pro-duplicated double A-sided chrome cassettes with full-color labels and doublesided printing on heavyweight gloss stock.